This is my celebration of Mexico’s independence day from far away. 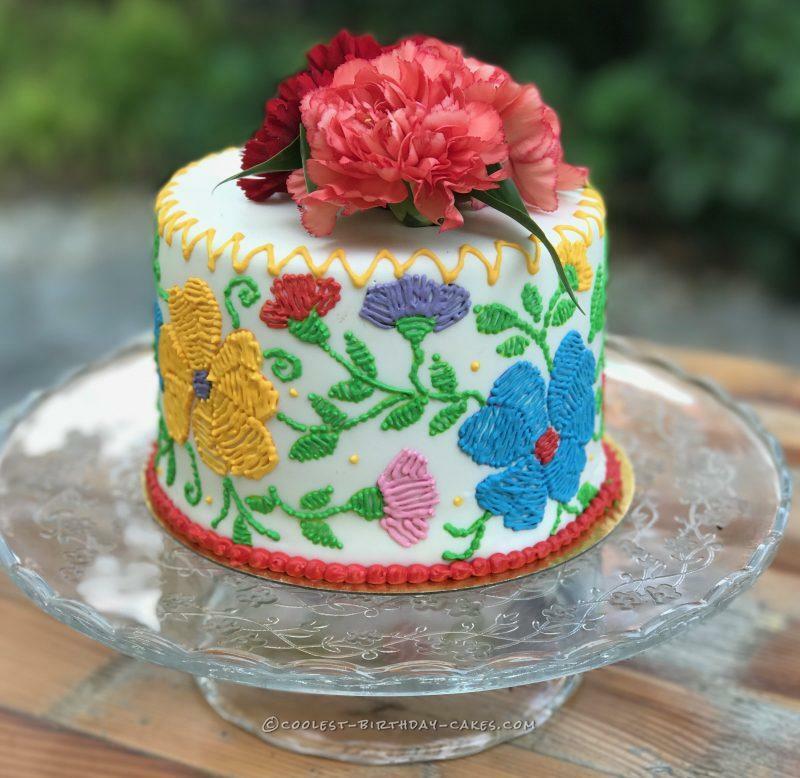 As a Mexican living abroad I find very important to share my culture’s beautiful traditions through what I do best, cake decorating. If you want a colorful and joyful culture, Mexico is an amazing inspiration. 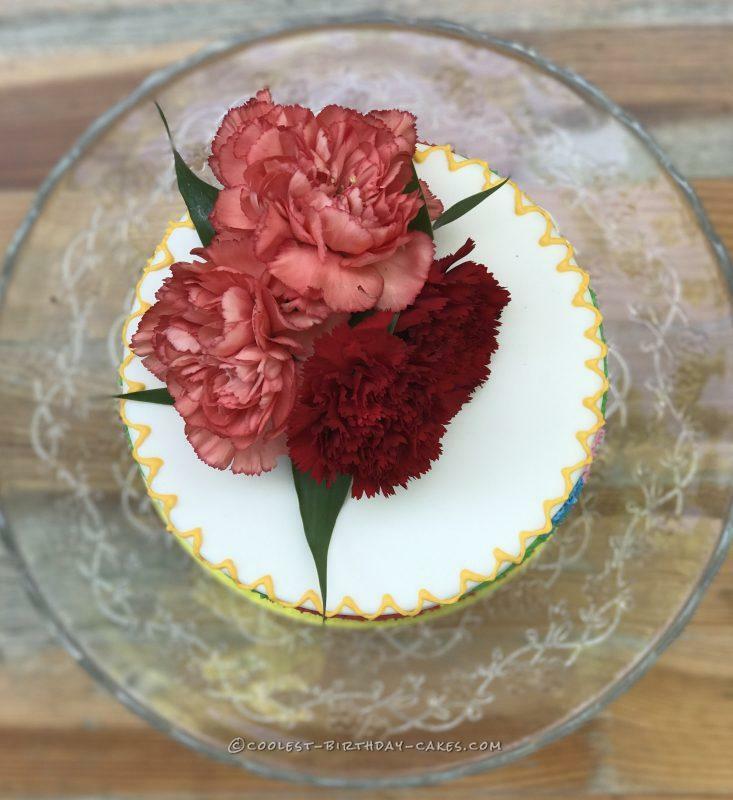 This cake was made with lots of love but it did require a lot of patience and concentration. 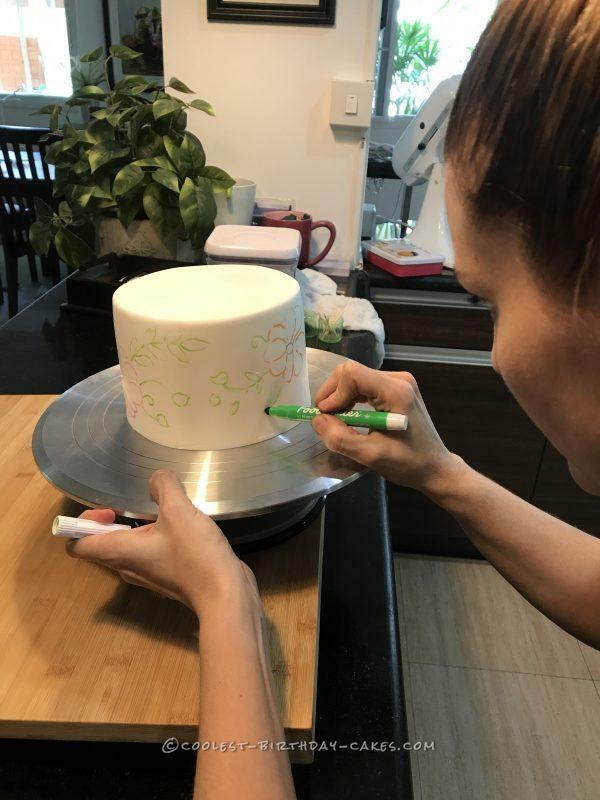 I enjoyed every minute of it, even when it became challenging for not having a tilted turning table, which makes drawing on the cake a lot simpler. Remember, you do not need every equipment out there to make a beautiful cake – your hands and your love for baking and decorating will do!